The candidate for the Bachelor of Science degree in Healthcare Management offered through the Avila Advantage program must complete all the University general degree requirements. The Advantage Healthcare Management major is open only to students who meet the requirements for admission to the Avila Advantage program. The major welcomes students seeking their first bachelor’s degree as well as students who may already have a bachelor’s or an associate degree. The major is particularly suitable for those candidates who may already have a background through education and/or work experience in health-related fields, such as (but not limited to) counseling, medical technology, medical transcription, nursing, nursing assistant, nutrition, occupational therapy, physical therapy, or radiologic science. All students must complete the Avila University Core Curriculum as a part of their degree programs. The Core consists of a minimum of 39 credit hours that meet the requirements listed below. Please go to Core Curriculum for more information and to view all Core classes. Foundations requirements provide the basic skills essential for effective participation in other classes as well as the professional world. Pillars and Levels requirements address the breadth of knowledge expected of a liberal arts education and challenges students to integrate prior knowledge and create new ideas through higher levels of coursework. Cross-Application Note: All courses that meet a Pillar also meet a Level and may meet a Designation requirement. Some courses taken for major and/or minor requirements may also meet Core requirements. Core Component Designations requirements incorporate assignments and experiences focused on developing and deepening student understanding to prepare students for responsible lifelong contributions to the global community. 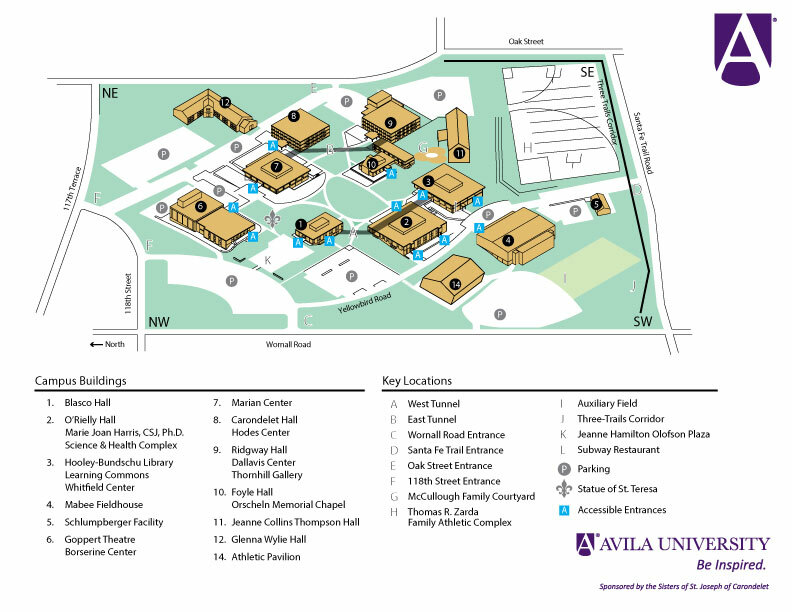 The Core Component Designations requirement for transfer students is determined by the number of credit hours transferred to Avila University. Please see the Transfer Students page within this catalog. As noted above, courses can have multiple designations and thus meet multiple requirements at once. Fulfill all the requirements for a degree as stated in this catalog. Students must achieve a minimum grade of “C” in all courses required for the major. Summative outcomes for the Healthcare Management major in the Avila Advantage program are assessed through a written healthcare plan and an oral presentation of that plan to outside professionals in the capstone course (HC 499 ). In addition to the six Healthcare Management outcomes, the four Professional Studies outcomes are assessed through the healthcare plan as well. The Summative assessment occurs yearly. Formative outcomes are assessed in individual courses as students move through the program. Each year data is gathered for two of the six outcomes. After three years, faculty review both formative and summative data results for all Healthcare Management outcomes at once.